Steve has 35 years of experience in real estate sales, construction management, homeowner association management, and apartment management. He is a 2017 board member of the Central Carolina REALTORS® Association and the South Carolina Association of REALTORS®, past president of the Apartment Association of Greater Columbia, a member of the Community Associations Institute (CAI), and a Certified Property Manager (CPM®). Steve attended the University of South Carolina. He and his wife Betsy have a son and two daughters and in 2018 welcomed their first grandchild. 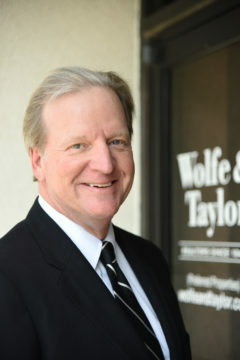 Dana started working in his family’s real estate business in 1981, joining his brothers Jack and Rhett and their father Oliver J. Wolfe. 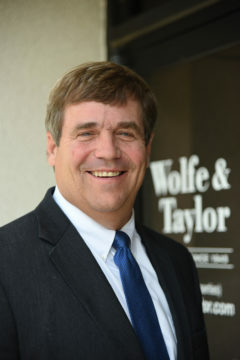 With over three decades of experience in property management and real estate sales, Dana now leads Wolfe & Taylor’s dynamic team of agents. He has a reputation for going the extra mile for his clients, sometimes literally, as he helps families buy and sell homes across the Midlands. Dana has a B.A. in history from the University of South Carolina. He is a member of Shandon United Methodist Church, where he is active in his Sunday school class and volunteers for various missions. He and his wife Wendi have three sons. Interested in selling real estate and want to join our team? Contact us to find out more.